Our community has 3,116 members, 225 online now. We’ve published 9,781 stories, shared 8,327 images, made 10,348 blog posts and written 121,555 forum posts. They are standing by the window wrapped in each others arms. Enjoying the view of the enchanting super blood blue moon, brightly shining in the starless night sky. 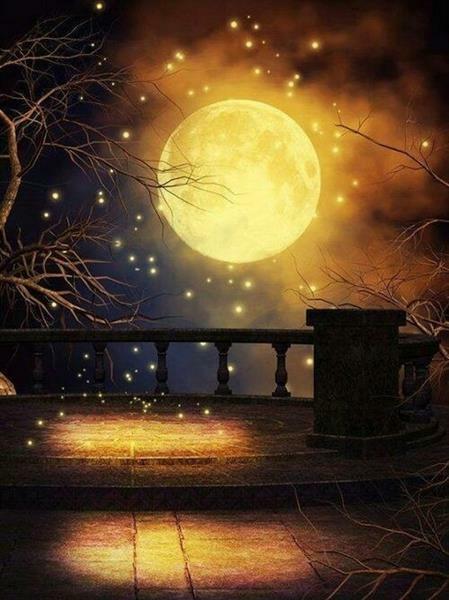 Fireflies are like stars below. Flying around the lovers as they kiss, surrounded by the magical glow. Storm is brewing between the lovers as their kiss turns to one passionate kiss after another, ignites a fire within their souls. He lifts her up and carries her back to bed. Slowly they vanish into thin air. The orchestra of the crickets playing in the background and the night perfumed with the scent of Jasmine.